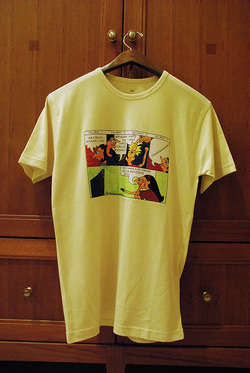 All t-shirts are beige/creamy coloured, and are made with carded cotton, very comfortable, machine washable, and ironable. 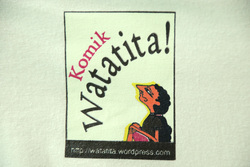 For the Soap Opera, Traffic Jam, and Theatre design, the picture is placed at the front of the t-shirt, and the logo is placed on the back. 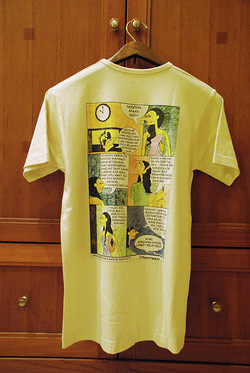 For the Wayang design, the picture is placed on back of the t-shirt, and the logo is placed on the front of the t-shirt. Please sms (do not call, so there will be a written evidence) to this mobile number: 0855 80 66 000 (Alexia).